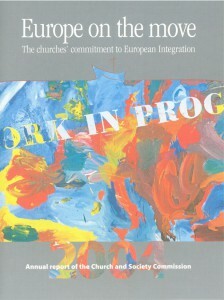 The Conference of European Churches publishes a number of resources and documents annually related to our work. 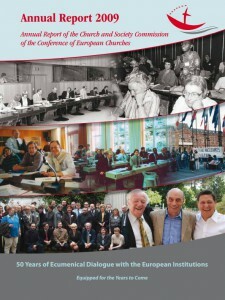 The Conference of European Churches has a publishing partnership with Globethics.net. Through this arrangement CEC publications are made available through the Globethics.net networks of more than 155,000 subscribers worldwide. 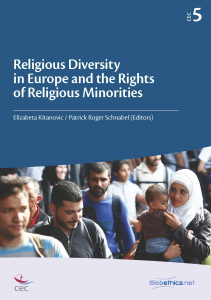 Religious Diversity in Europe and the Rights of Religious Minorities (2019), Editors: Elizabeta Kitanovic / Patrick Roger Schnabel. In October 2016, the Conference of European Churches brought together in Zagreb (Croatia) dozens of experts to discuss the challenges facing minority churches, and religious minorities in general. 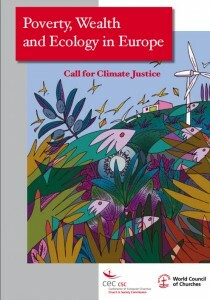 The European landscape presents many difficulties for these communities. Some struggle with obtaining legal status, some are subject to discrimination, exclusion or even open hostility. Widespread prejudices, destruction or confiscation of property, and barriers to religious rituals and ceremonies make daily life difficult for many communities across the continent. CEC, and the participants gathered at the Zagreb conference, are convinced that minorities bring value to societies, and that deeper religious literacy, enhanced understanding, and fostering dialogue will contribute to their flourishing. 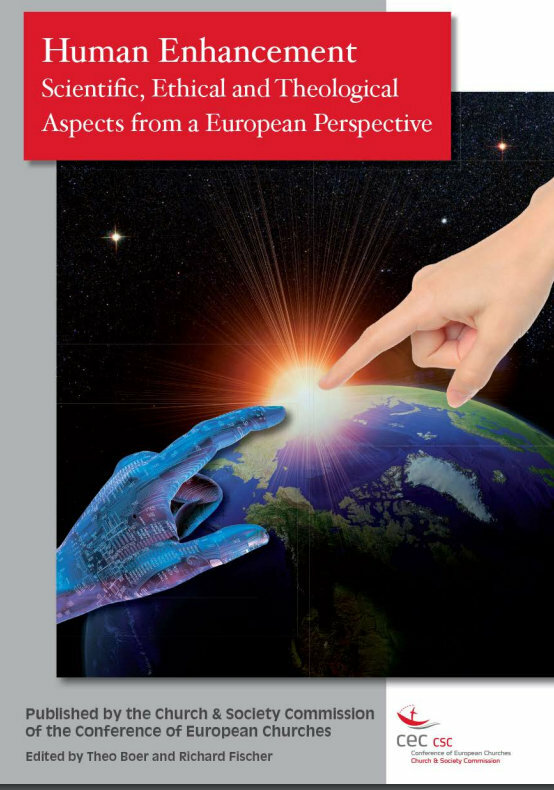 This volume contains their contributions to these discussions with a hope that it will contribute to healthy, diverse societies throughout Europe. Beyond Prosperity? European Economic Governance as a Dialogue between Theology, Economics and Politics (2017), ed. Peter Pavlovic. 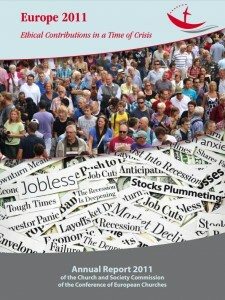 The coexistence and mutual influence of politics and the economy is an everyday reality in modern societies. A Christian perspective on this relationship speaks to the inseparability of ethics and economy, and also to the necessity of dialogue between theology and politics. The public role of religion in Europe in this current context includes highlighting the core values of Christianity. This text turns its attention to a robust theological discussion of these ideas and the challenges facing the flourishing of these values in Europe. 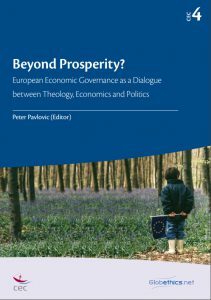 It is a unique ecumenical, European contribution to the wider discussion on the complex intersection of theology, ethics, politics, and the economy. Advancing Freedom of Religion or Belief for All, ed. Dr. Elizabeta Kitanovic and Fr Aimilianos Bogiannou. Issues relating to freedom of religion or belief affect all people in all societies, and require coordinated political, legal, and theological responses. In September 2015 at the shuttered Theological School of Halki —human rights experts, scholars, policymakers, and theologians came together to advance this important dialogue and share best practices. Together the contributions from this conference gathered here give a contemporary and interdisciplinary perspective on this critical human rights issue. This collection of essays is indispensable reading for all those interested in the future of faith in an increasingly multicultural and multireligious Europe. Europe’s Heart and Soul. 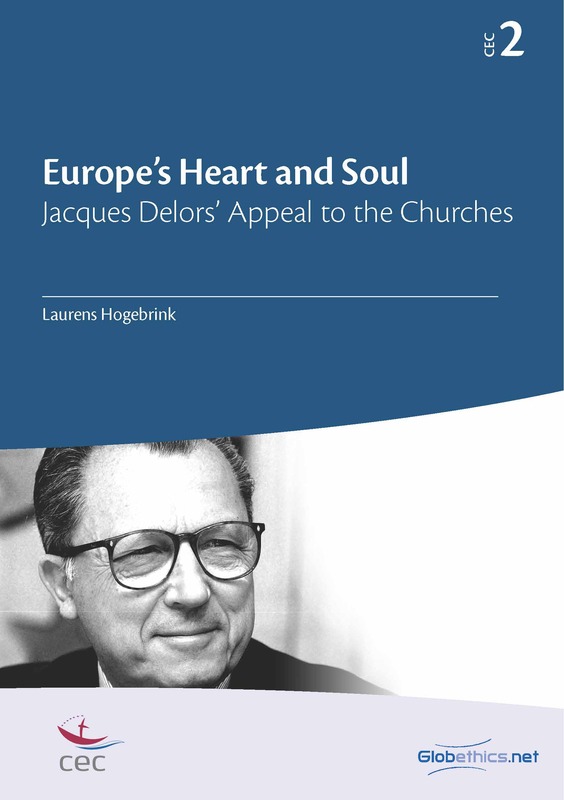 Jacques Delors’ Appeal to the Churches (2015), by Laurens Hogebrink. Jacques Delors speaking as the European Commission’s President in 1990, made the historic appeal to the churches to contribute to giving Europe “a heart and a soul”. His appeal signaled a new phase in the dialogue between the churches and the European institutions. This publication explains what Delors had in mind. 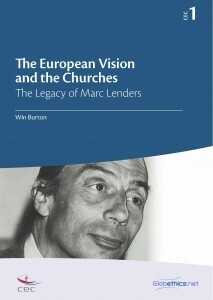 The European Vision and the Churches: The Legacy of Marc Lenders (2015), by Win Burton. For more than thirty years Pastor Marc Lenders lived out his vocation bringing Christians from across traditions and across Europe into deep relationship with their unique social, cultural, and political context. Through his eyes discover how Marc Lenders courageously signed up for a job in 1966 that had no description and upon his retirement in 1999 left a growing and vibrant legacy of dialogue, debate, and engagement between the churches of Europe and the political institutions that represent its people. Pensées européennes. 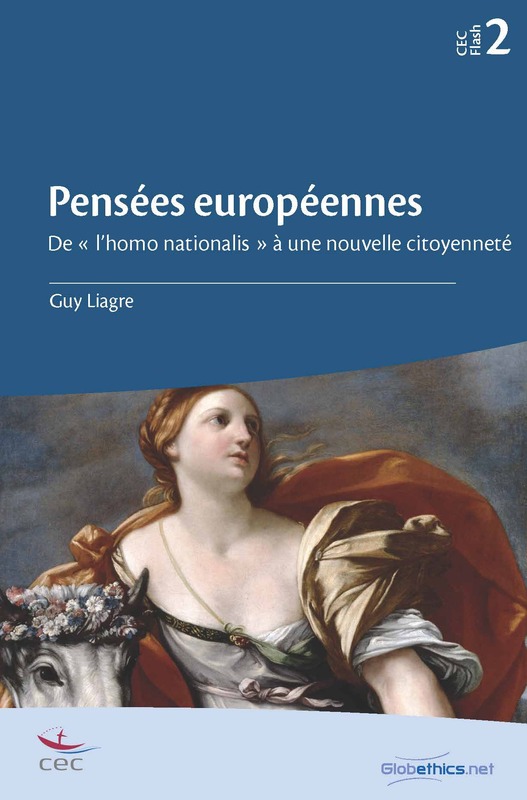 De « l’homo nationalis » à une nouvelle citoyenneté (2015), éditeur responsable Guy Liagre. On imaginerait mal l’Europe sans ses institutions. Plus de cinquante ans de construction européenne n’ont pourtant pas donné naissance aux États-Unis d’Europe escomptés par ses « pères fondateurs ». Ce petit livre aborde cinq sujets qui, d’une façon ou d’une autre, préoccupent les Églises en ce moment de l’histoire. Paradoxalement, leur contenu est très peu connu mais ils lient des questions de nature théorique à des questions relatives à l’identité européenne : le problème des fondements de l’Union européenne ; les valeurs européennes ; la démocratie européenne ; la justice sociale et le droit, et les frontières de l’Europe. 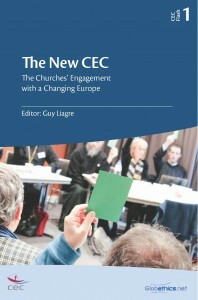 The New CEC: The Churches’ Engagement with a Changing Europe (2015), edited by Guy Liagre. In 2014 the Conference of European Churches celebrated a historic merger with the Church and Society Commission, bringing together two of the oldest and broadest ecumenical organisations in Europe. Now at this turning point, in the midst of an ever-changing Europe, CEC must articulate a new vision for its future. In a series of inspiring and relevant essays, leaders from the church and the world of European politics offer insight into what it means to be a Conference of European Churches in 21st century Europe. Annual report 2016: What future for Europe? Rapport annuel 2016: Quel avenir pour l’Europe? Jahresbericht 2016: Welche Zukunft Für Europa? 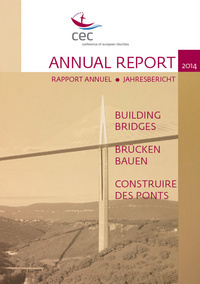 Building Bridges: The 2014 Conference of European Churches Annual Report. A humane, socially just and sustainable Europe at peace with itself and its neighbours: The 2013 Conference of European Churches Annual Review. 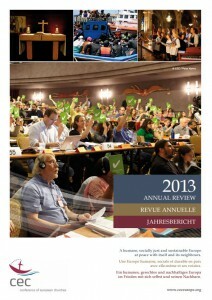 CEC and Europe on the Move: The 2013 Church and Society Commission of the Conference of European Churches Annual Report. Being Christian Citizens: What does it mean for European Society? 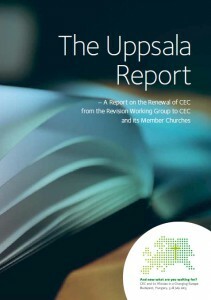 : The 2012 Church and Society Commission of the Conference of European Churches Annual Report. 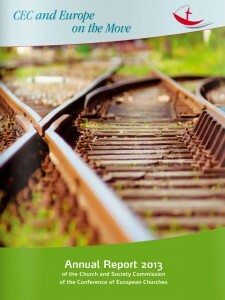 Ethical Contributions in a time of crisis: The 2011 Church and Society Commission of the Conference of European Churches Annual Report. 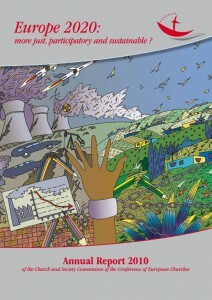 Europe 2020: more just, participatory and sustainable? 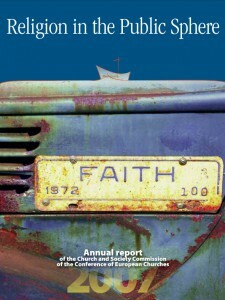 The 2010 Church and Society Commission of the Conference of European Churches Annual Report. 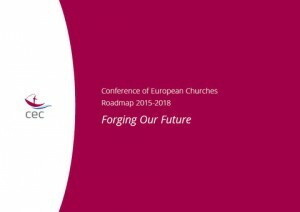 50 Years of Ecumenical Dialogue with the European Institutions: Equipped for the Years to Come: The 2009 Church and Society Commission of the Conference of European Churches Annual Report. 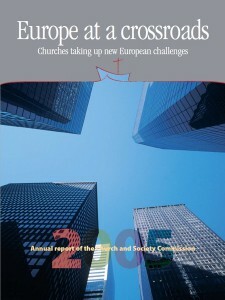 The 2008 Church and Society Commission of the Conference of European Churches Annual Report. Religion in the Public Sphere: The 2007 Church and Society Commission of the Conference of European Churches Annual Report. 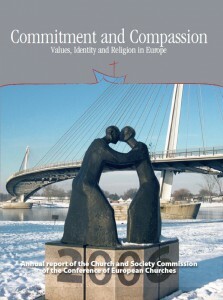 Commitment and Compassion: Values, Identity and Religion in Europe: The 2006 Church and Society Commission of the Conference of European Churches Annual Report. Europe at a crossroads: Churches taking up new European challenges: The 2005 Church and Society Commission of the Conference of European Churches Annual Report. Europe on the move: The churches’ commitment to European integration: The 2004 Church and Society Commission of the Conference of European Churches Annual Report. Roadmap 2015-2018: Forging Our Future. An overview of CEC’s projects and programmes leading to the 2018 General Assembly. And now what are you waiting for? 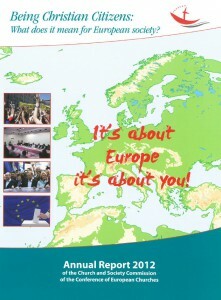 : CEC and its Mission in a changing Europe: The 2013 Budapest Assembly report. 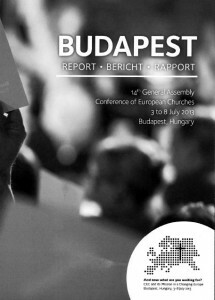 From Lyon to Budapest: Activity report to the Assembly of the Conference of European Churches. 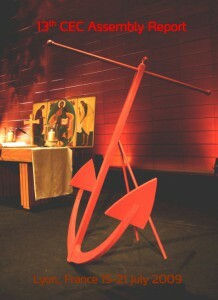 Called to One Hope in Christ: The 2009 Lyon Assembly report. 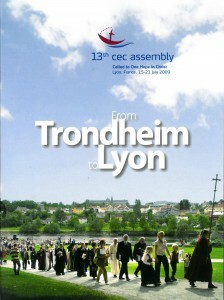 From Trondheim to Lyon: Activity report to the Assembly of the Conference of European Churches. 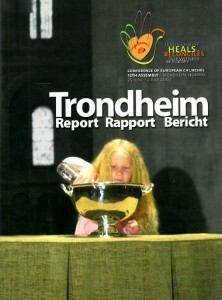 Jesus Christ Heals and Reconciles: Our Witness in Europe: The 2003 Trondheim Assembly report. 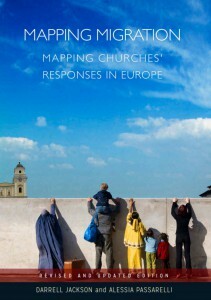 Mapping Migration in Europe, Mapping Churches’ Responses. Revised and updated edition. 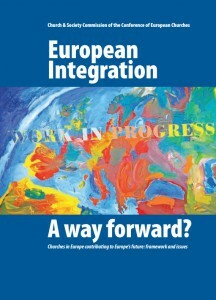 A joint publication from the Churches’ Commission for Migrants in Europe and the World Council of Churches. 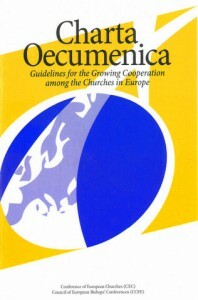 The Charta Oecumenica is a joint document of CEC and the Council of European Bishops’ Conferences (CCEE). It was signed by the presidents of the two organisations in 2001 and seeks to preserve and develop fellowship among churches. 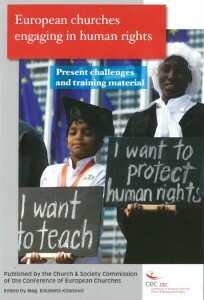 European churches engaging in human rights: Present challenges and training material. 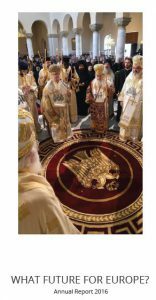 For more on this publication, including multimedia material and a Serbian translation, please click here. 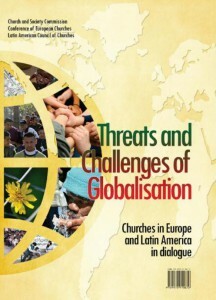 Threats and Challenges of Globalisation: Churches in Europe and Latin America in dialogue. Outcomes of the first round of the dialogue between CSC/CEC and CLAI published jointly with the Latin American Council of Churches (CLAI). 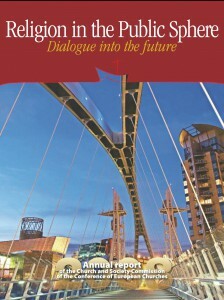 The document is the result of a dialogue which contributed to trustbuilding and overcoming of differencies in a number of discussed themes and is a joint contribution to a wider ecumenical debate. 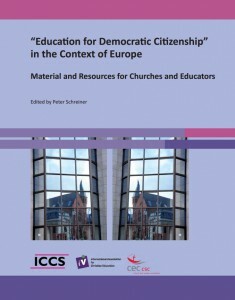 “Education for Democratic Citizenship” in the Context of Europe: Material and Resources for Churches and Educators. Edited by Peter Schreiner. A publication of the Church & Society Commission of CEC, the Intereuropean Commission on Church and School and theInternational Association for Christian Education in cooperation with the Comenius-Institut. This publication is a tool to provide information about basic elements and initiatives in Education for Democratic Citizenship (EDC).